As your house ages, it starts to deteriorate. This can be seen through the paint peeling on the walls or the foundation of the house splitting and cracking. Ignoring this problem will only worsen your house’s condition and leave you with a decaying house. Avoiding any work to replenish the house to its natural state will just result in you spending thousands of dollars later in life, because your house finally caved in. Here—at Stay Dry—we have over 100 years of total experience, which has allowed us to be exceptional in our work. We provide an affordable rate to ensure your house is waterproofed during these arduous times. Living in Michigan, you experience a higher rate of rain and snowfall, which is why you need to be prepared for them. Insulating your home won’t just protect your assets from outside hazards, but it will also help you financially and physically. 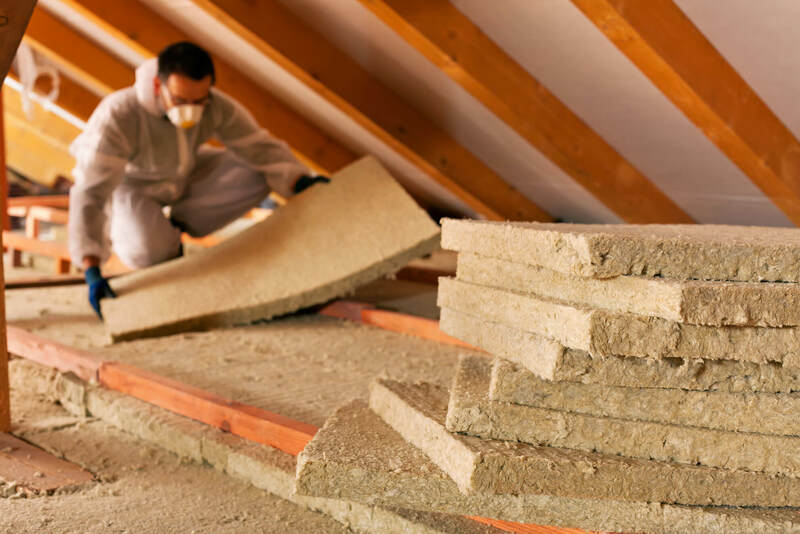 Insulating your home is an incredibly important part of living in a house. Without insulation your hot air can seep outside, while the cool outdoor climate starts to leak indoors. With a constant transportation of cold air being imported into your home your air conditioner has to run at twice the power. This causes your cooling/heating bill to soar and resulting in you spending hundreds of dollars on an unnecessary reason. Without this constant transference of air from the inside to the outside, your house’s moisture remains at the recommended level. An unreasonably high amount of moisture in your home can start to cause your foundation or walls to rot, or even fall apart. This moisture doesn’t even have to come from the outside; the humidity from bathing or cooking can be trapped into your walls without proper insulation. Insulation is vital to your home, but there are certain places in need of it more than others. For instance, your roof and ceiling can allow up to 40 percent of your hot/cold air out. This can be another reason why your heating bill is so much higher than your neighbors. Your walls are an equally important characteristic of the house needing insulation. Improper insulation can result in the controlled air inside to go outside, and vice-versa. Even your floor can have an influence in how much air is trapped and released. Carpet is one of the most popular insulators used. However, this is also why you can’t spill liquids on it. The carpet will soak up the moisture and if left untreated it can turn into mold. It’s one of the reasons why tiled floors are so much cooler to lay on, and why it’s an easy clean-up. Who Should Insulate My Home? Owning a home is quite a feat to accomplish, but it also requires you to be more aware of what’s going on in your house. You don’t have a landlord you can call to complain about your problems, because it’s your problem now. It’s one of the downfalls transitioning from a tenant to a homeowner. However, these problems don’t need to cause you a headache if you hired the right professional to maintain your home. Stay Dry has been involved with this type of work for over ten years, and this wouldn’t have been possible had we not satisfied thousands of customers. All of our technicians come fully stocked with all of the equipment they need to fix your house. Using only the best products made in the United States allows us to affirm you are getting the service you deserve. Contact us now for a free estimate or to learn more about our other services available.